All Mabank homes currently listed for sale in Mabank as of 04/19/2019 are shown below. You can change the search criteria at any time by pressing the 'Change Search' button below. If you have any questions or you would like more information about any Mabank homes for sale or other Mabank real estate, please contact us and one of our knowledgeable Mabank REALTORS® would be pleased to assist you. 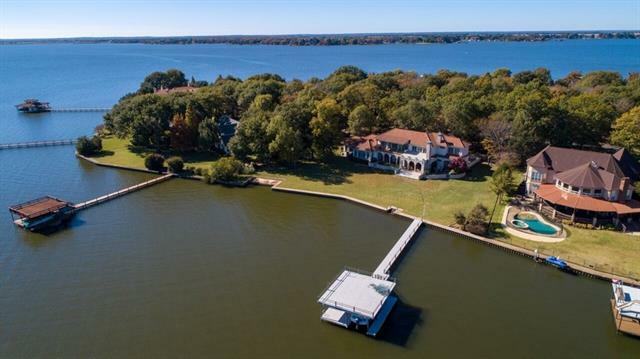 "REMARKABLE HOME LOCATED ON ONE OF THE MOST PRESTIGIOUS POINTS AT CEDAR CREEK LAKE. 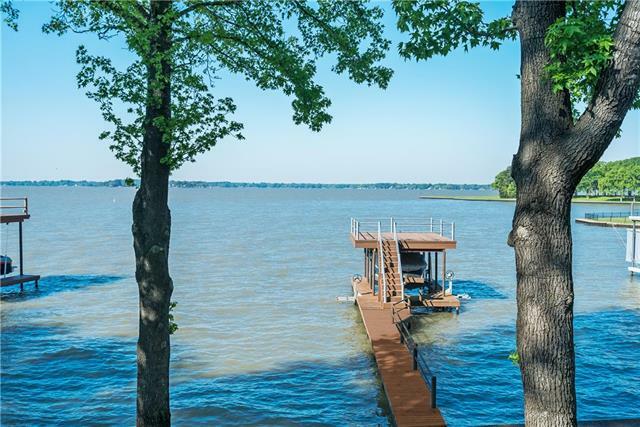 366 FEET OF SHORELINE AND INSIDE THE GATES OF PINNACLE GOLF CLUB, ONE OF THE PREMIER COMMUNITIES ON CEDAR CREEK LAKE. SOARING CEILINGS THROUGHOUT THE HOME, WILL ASTOUND YOU. THE INTERIOR IS EXQUISITE, BUT THE VIEWS FROM EVERY SINGLE WINDOW WILL ABSOLUTELY TAKE YOUR BREATH AWAY! NO DETAIL WAS MISSED IN THE CONSTRUCTION OF THIS HOME, COMPLETED IN 2017. THE RUSTIC SOFT CONTEMPORARY CAN TRANSITION TO ANY STYLE YET ALW"
"GB-8099. A DESIGNER DREAM HOME, CUSTOM TOUCHES THROUGHOUT FROM IMPORTED STONE, RECLAIMED TILE FLOORS, ONE OF THE KIND IRON RAILINGS AND FIREPLACES. TOO MANY TO LIST IN ONE PLACE. THIS SPANISH REVIVAL IS A MASTER PIECE. CURVED ARCHES LEAD YOU WAY TO AN OPEN CONCEPT BUT WITH AN INTIMATE COZY FEEL. HIGH DRAMATIC CEILINGS PROVIDE AMAZING WATER VIEWS. MASTER AND GUEST SUITE ARE DOWN STAIRS ALONG WITH OFFICE, TWO FULL BATHS AND HALF BATH. 4 GUEST ROOMS AND 3 FULL BATHS ARE UPSTAIRS ALL WITH BALCONIES "
"MLS #83964 GB-7644. Stunning waterfront escape on 6.3 acres within this 500+ acre gated resort development. You will love the privacy and elbow room of the 6+ acre parcel to share with family and friends. Open great room style living with massive double island kitchen built to entertain large groups in comfort.Outdoor kitchen and living w fireplace expands your entertaining to wrap around the edge of the infinity pool. 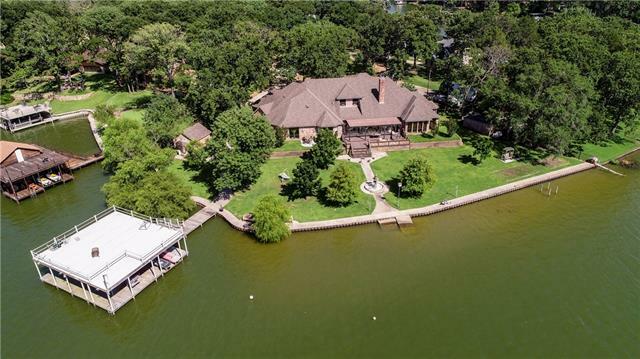 Enjoying this ranch waterfront setting to include use of miles of hiking and "
"Beautifully crafted custom Dan Waitman built gated barndominium. 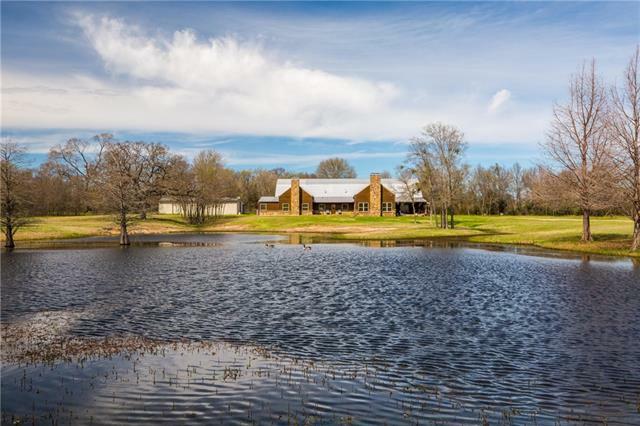 Everything you could expect from a country retreat is within reach and rests only 1 hour from downtown Dallas! Property features an expansive master suite with a fireplace and large closet, cathedral ceilings, workshop, separate barn, tons of storage, gourmet kitchen, guest quarters, 3 secondary bedrooms, 4 full bathrooms, and so much more! Property sits on a nearly 18 acre lot boasting mature trees, two ponds for fishing, and a cr"
"MLS #87535 GB-8111. 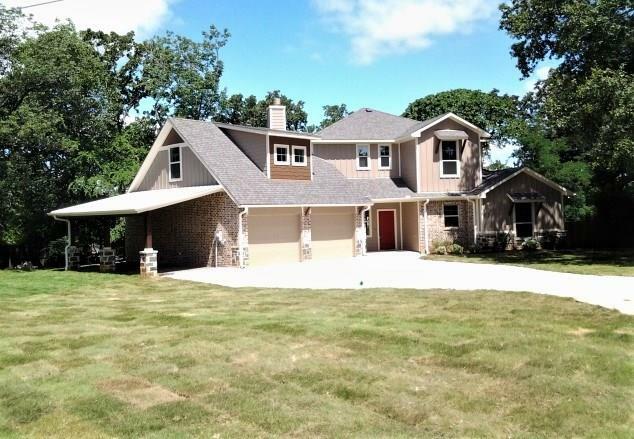 NEW CONSTRUCTION - MODERN FARM HOUSE DESIGN - 1 ACRE LOT WITH INCREDIBLE MATURE TREES - SOUTHEAST ORIENTATION - SPACIOUS KITCHEN (QUARTZ COUNTERTOPS) OPENS TO LARGE LIVING AREA WITH FLOOR TO CEILING WINDOWS & HARDWOOD FLOORS - HUGE COVERED PORCH WITH FIREPLACE - 2ND LIVING AREA PLUS OFFICE OR BONUS ROOM - ALL FINISH OUT MATERIALS HAVE BEEN SELECTED BY BUILDER - COMPLETION DATE SUMMER 2019." "Gorgeous custom home on .5 acre lot with over 300 ft on the water! Spacious liv area with beautiful stone fireplace, plus sep. office area. Amazing kit with abundance of cabinets, lge prep island, grnte cntrs, Thermador gas cook top, & dbl ovens. 2 din areas, one on lakeside with wall of windows. Home offers tornado shelter finished out as beautiful wine cellar. 2 mstr suites both overlooking the water. All bths offer grnte cntrs & tiled wlk-in shwrs. Impressive finish outs with hand scraped woo"
"BEAUTIFULLY UPDATED AND MAINTAINED SINGLE STORY HOME, LOCATED IN THE PRESTIGIOUS PINNACLE GOLF RESORT. THE ADDITION OF AUSTIN STONE ENHANCES THE CURB APPEAL. NEW WOOD FLOORING THROUGH OUT THE LIVING AND DINING ROOM. OPEN FLOW BETWEEN LIVING AND KITCHEN PROVIDES EASY ENTERTAINMENT. THE KITCHEN IS TRULY A CHEF'S DREAM WITH TOP OF THE LINE APPLIANCES, CUSTOM CABINETS, SOLID SURFACE COUNTER TOPS AND ALL NEW LIGHTING. BONUS ROOM CAN BE AN ADDITIONAL BEDROOM OR OFFICE. VIEW GALORE ON ONE OF THE MOST S"
"Exquisite 4 bedroom, 4 bath, 3 car garage NEW CONSTRUCTION with 2 living areas, 3248 square foot coastal cottage design, home including brick wainscoting, beamed Gambrel ceiling, quartz-granite throughout, stainless steel appliances, gas range, flat top boathouse with 22 foot boat slip and double jet ski slip. Fully landscaped and irrigated." 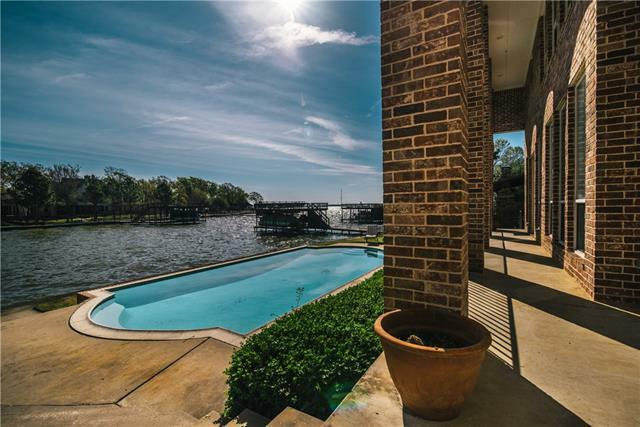 "Custom waterfront home has lovely water views, open living, large kitchen, dining area, office-library, 1st-floor lakeside master bedroom with spacious bath & closets, & 2 half baths. 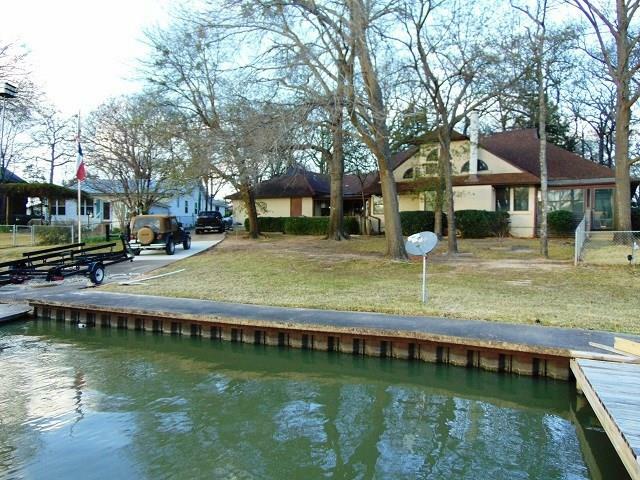 Upstairs find 3 large bedrooms & 2 full baths, second living-media-game room looking over the lake. Room for expansion over garage (access door through upstairs bedroom closet). The laundry room has room for additional freezer and perfect area to house the wine collection. The 25x42 garage comfortably fits 3 car"
"GB-7284. LAKE LIFE LIVING AT IT'S BEST, ON DEEP PROTECTED WATER WITH WINE VINEYARD JUST ACROSS WATER! 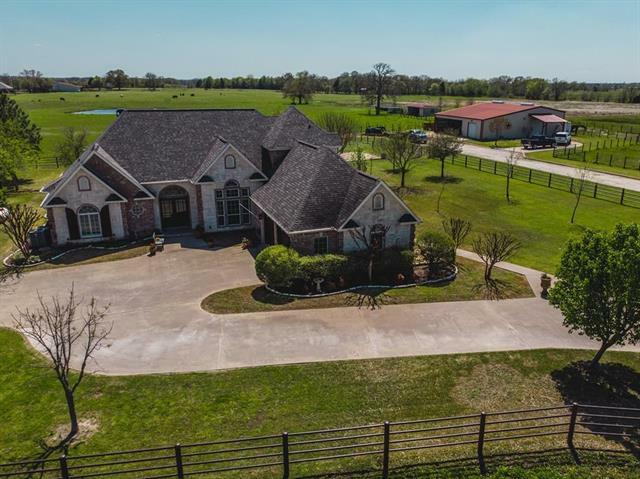 BEAUTIFUL AUSTIN STONE HOME LOCATED IN A PERFECT SETTING: ON .75 ACRES WITH OVER 200 FT. OF WATERFRONT, OPEN WATER & VINEYARD VIEWS! METICULOUSLY MAINTAINED HOME FROM TOP TO BOTTOM! THIS HOME OFFERS AN OPEN FLOOR PLAN WITH WALLS OF GLASS. THE SOARING FLOOR TO CEILING AUSTIN STONE FIREPLACE IS BREATHTAKING. THE LAYOUT IS PERFECT FOR ANY SIZE FAMILY, MASTER SUITE WING, 2 OTHER BEDROOMS DOWNSTAIRS,"
"New Waterfront Home on .56 acre lot with 100+ ft. of water frontage and great water depth at dock! BRAND NEW steel retaining wall. 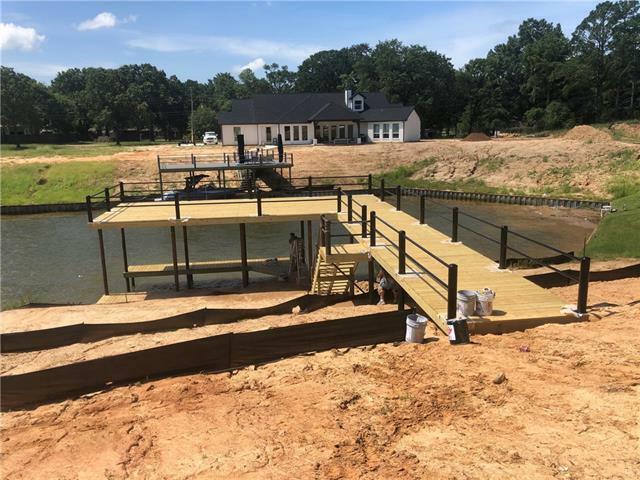 New dock with motorized boat & pwc lifts, storage and party deck (under construction). Covered back patio runs full length of home and has access to a full bath with dressing area. Hard flooring in all living areas. First-floor private master. 4th bedroom is almost 600sf & is plumbed for possible 2nd master or suite. Or, use 'as is' for huge bunk or game room. Fantas"
"MLS #87888 GB-8150. STUNNING HOME - 2 LIVING AREAS WITH FIREPLACES, HIGH CEILINGS, WOOD FLOORS - COOKS KITCHEN WITH 6-BURNER GAS COOKING, ISLAND PREP-SERVING AREA - SPACIOUS MASTER SUITE WITH WONDERFUL VIEWS - ALL BEDROOMS HAVE PRIVATE BATHS - WONDERFUL COVERED PORCH WITH STONE FIREPLACE, POOL, NICE LANDSCAPING - INCREDIBLE 50 X 50 SHOP WITH ADJOINING OFFICE, LIVING, KITCHEN & BATH - GATED ENTRY. THIS PLACE IS ABSOLUTELY BEAUTIFUL." 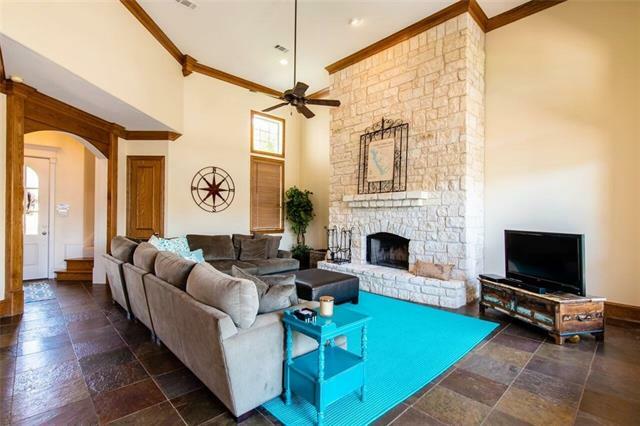 "Beautiful Austin stone home in exclusive Pinnacle Club includes access to golf, tennis, gym, club house, etc.. This home has a open design with wine grotto great for entertaining. Features a wood burning fireplace and has scraped hard wood floors throughout. Master bedroom overlooks the water and has an amazing circular stone walk-in shower. Upstairs bedroom has balcony patio with view of the water. 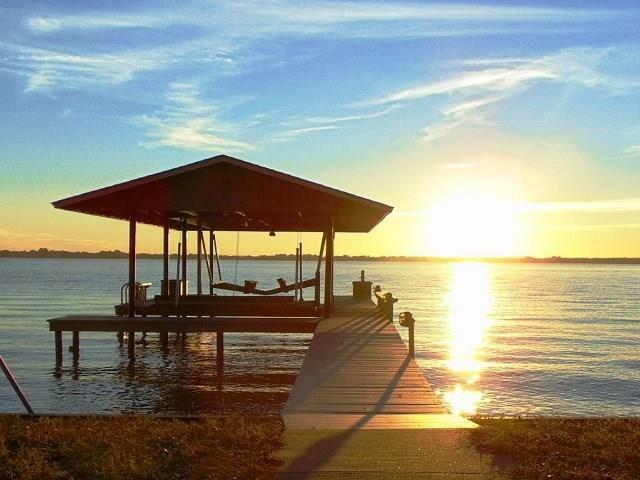 Boat dock has large party deck overlooking the open water! Outdoor covered patio includes kitch"
"Located in a one of Texas premier golf clubs, the Pinnacle offers unparalleled quality with a unique blend of recreational community and residential privacy. This stunning residence brings the amenities of a resort lifestyle right to your backyard. Whether you re looking for a weekend getaway, a place to retire, or a full-time residence, you will find yourself at home here. 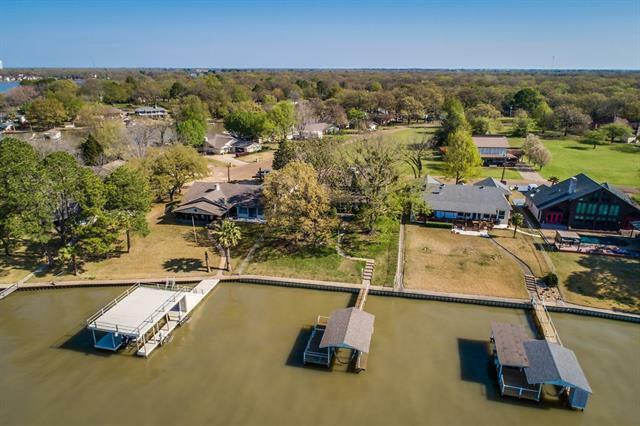 With sprawling entertaining spaces that flow from an open living area to a spacious covered porch, views to the water"
"Looking for your DREAM home on the lake? Located on a low traffic cove of the lake, this 4-bedroom-3.1-bath home is custom built with unique features showcased all over. You'll enjoy a magnificent living room with built-in bookcases, stone fireplace and wood mantel. Oversized Master suite with a fireplace, lake-view and private porch. An amazing home office. A media room perfect for watching the Cowboys play on Sundays. 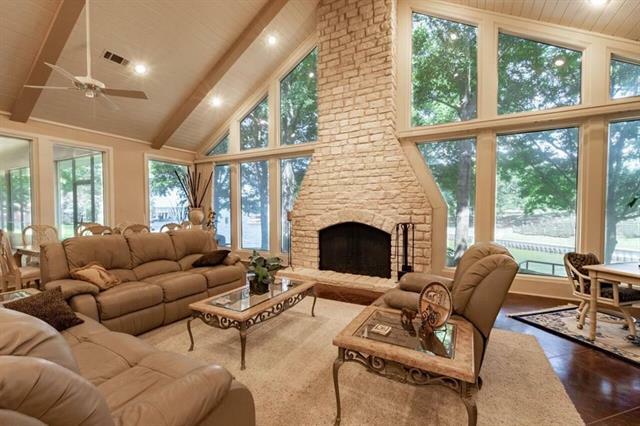 A huge bonus room that is completely insulated (not included in the square f"
"Resort Style Living on Gated Private Island located at Cedar Creek Lake. Causeway connects island to mainland. 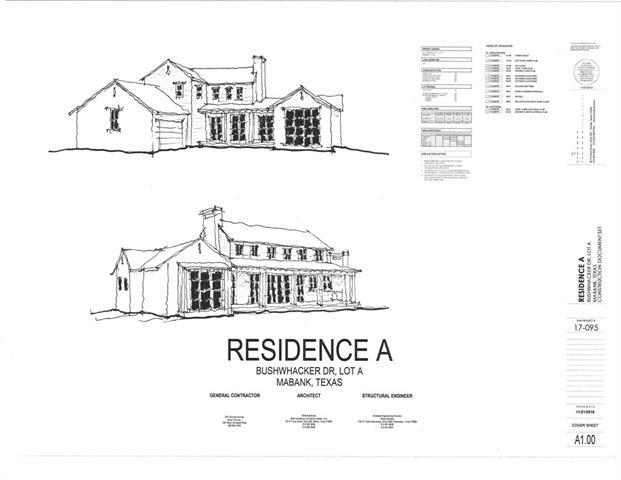 House sits on wooded lots in center of Island surrounded by other Custom Homes. Architectural design is amazing with great detail to lots of natural light. Brick steps lead to grandeur entrance. All bedrooms with Ensuite Baths to include Guest Room-Bonus Room over garage. 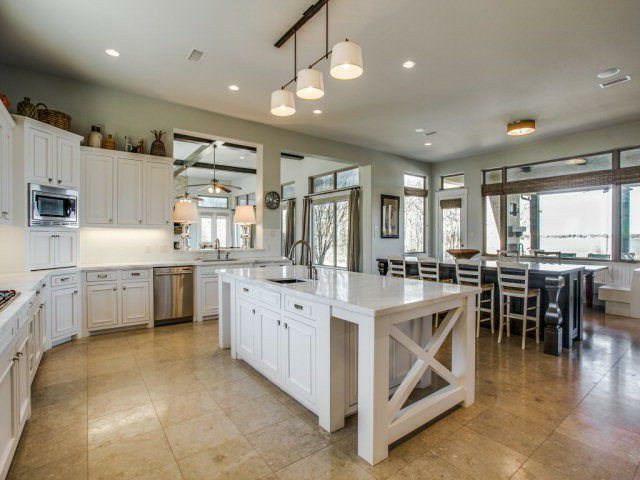 Kitchen has extensive Breakfast Bar plus Island. Huge Utility Room with lots of built-in cabinets, desk, sink and ro"
"MLS #: 87896. GB-8151. BEAUTIFUL, UPDATED HOME ON GORGEOUS OPEN WATER LOT IN GATED SUBDIVISION. 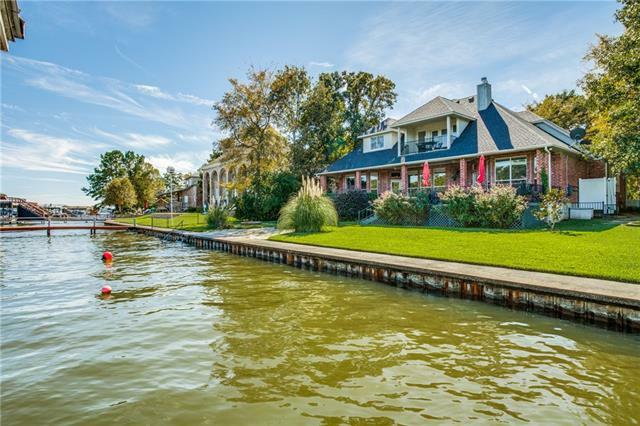 WIDE OPEN WATER, GORGEOUS SUNSETS, DOUBLE BOATHOUSE, PWC LIFT, 8 FT. WATER AT BOATHOUSE (PER SELLER). OPEN LIVING AREA, BEAUTIFUL VIEWS WITH WALL OF WINDOWS. LARGE DECK EXPANDS LIVING AREA FOR ENTERTAINING." 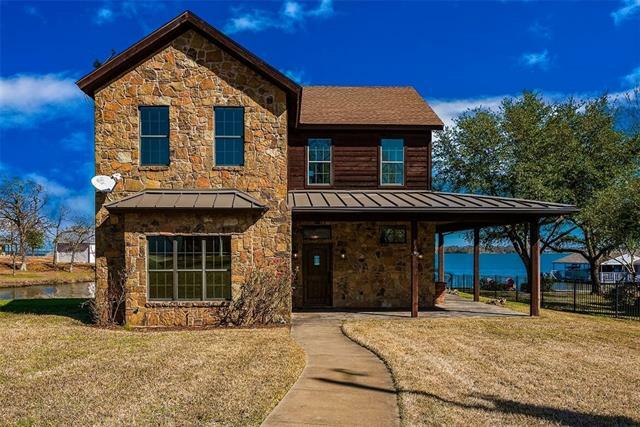 "Enjoy this spacious custom lake home on open water at Cedar Creek Lake.An extensive and meticulous remodel in 2012-2013,2016 has created a beautiful modern neutral palette for your lifestyle.The high ceilings, granite counter tops, marble back-splash,stainless steel appliances, wine fridge, cedar mantle, and cedar wrapped vaulted ceiling beams, hand-scraped hard-wood flooring, tile flooring, architectural arches, frameless glass master shower, Low-E vinyl windows, upgraded electrical and fixtur"
"Beautiful 2 yrs new open floor plan, 3 bed, 3.5 bath waterfront single family home with upgraded designer finishes in gated resort style community. 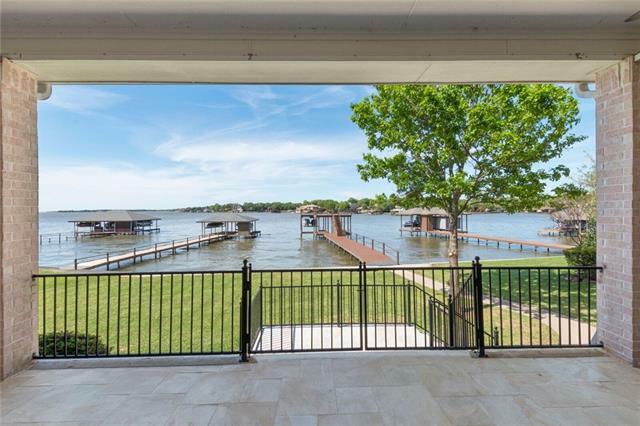 Wide open, unobstructed beautiful lake views. Everything you ever wanted in a lake house. 2 living areas, wood deck on water's edge, 2nd floor balcony, great master with en suite. Wonderful neighborhood and active neighbors. Meet everyone at the lovely community salt water pool for happy hour or an afternoon swim overlooking gorgeous Cedar Creek La"
"This Custom home sits on a Waterfront lot facing East, in a prime location next to the Pinnacle Golf course. A second lot across the street offers ample parking and a large detached garage. Custom cabinets and trim throughout, with expansive windows that bring the lake into every room! High-end stainless appliances, Large walk-in showers, granite countertops, boat dock, lawn sprinklers, and brand new carpet and flooring make this home turn-key and ready for new owners!" "Spacious and beautiful lake home on open water in sought after gated community of Spanish Shores. Vaulted ceilings with 4 large bedrooms, 2 down and 2 up, with 3 full baths. Kitchen has stainless steel appliances. Tile flooring with carpet in bedrooms, covered back patio with slate flooring to watch those wonderful sunsets. Two car garage, covered boathouse with boat lift. Plenty of space to entertain family and friends. Close to shopping, dining, and entertainment." "Lake house updated from top to bottom including over 13 new bay windows, all new flooring added in living, dining, kitchen area & new carpet in the upstairs bedrooms. Downstairs bedroom has been converted into a master suite with a lake view & a new bath added downstairs for your guest. New hardware, new lighting, new counter tops & new tile back splash in kitchen, full baths offer new lighting, new tile showers & new tile flooring. Lot & half across the street with garage-workshop & child's"
"Great waterfront home on two lots located in a nice subdivision. This home offers 18 foot high vaulted ceiling with exposed beams in the living area and knotty pine paneling, office area, and wet bar with refrigerator plus 3-3-3. Wood burning fireplace with butane assist and forced air blower, second floor has it own A-C unit, window treatments on all exterior windows and steel exterior doors. Master suite offer vaulted ceiling, large walk-in closet, master bath has a jacuzzi, twin lavatories an"
"MLS #87307. GB-7837. 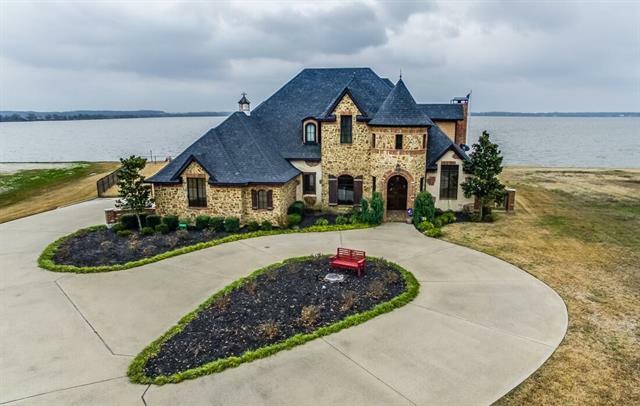 OVERLOOKING DEEP PROTECTED WATER WITH OPEN WATER VIEWS, THIS TUDOR STYLE HOME IN PRESTIGIOUS PINNACLE CLUB OFFERS A TOUCH OF RUSTIC, CREATING A COMFORTABLE & CASUAL ATMOSPHERE. YOU WILL ENJOY THE FEELING OF PRIVACY FROM SURROUNDING HOMES YOU GET FROM THE COVERED PATIO & LARGE DECK. GREAT FLOOR PLAN. MASTER SUITE LOCATED DOWNSTAIRS WITH SEPARATE TUB, SHOWER & DUAL SINKS IN MASTER BATH. ONE LG GUEST ROOM UPSTAIRS COULD ALSO BECOME A BONUS ROOM OR BUNK ROOM. ADDITIONAL AMENITIE"